Owner Ermal Gashi of Diesel Hall in Tirana, Albania, was looking for a cost effective but high-quality wall-grazing fixture to dress up his popular bar-lounge. The fixture would need to include a color mixing system and be able to project effectively up to three meters. Kliton Gjika, sales manager at Prosound, Martin Professional’s distributor in Albania, suggested the Martin Easypix linear strip light to fulfill the task. With full spectrum RGB color mixing, a choice of diffuser lenses, and an exceptionally easy means of installation, not to mention 64 ready-to-go stand-alone programs, it provides a simple yet highly capable dynamic lighting solution for interior walls and spaces. 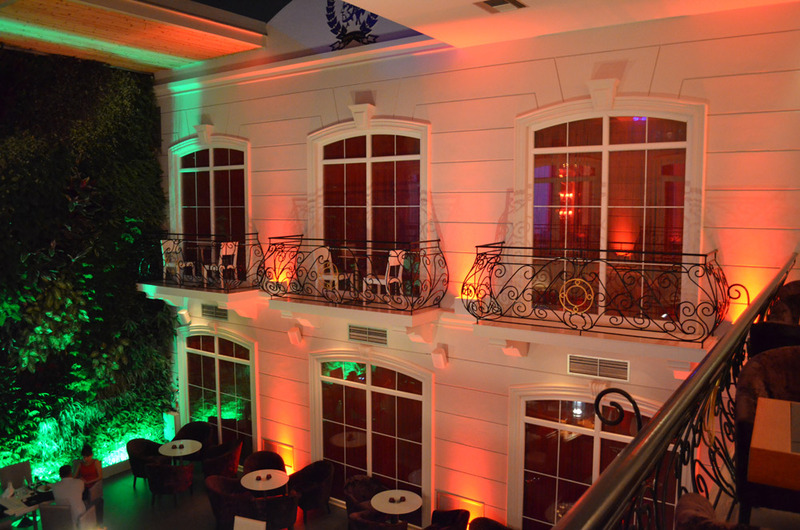 Twelve Easypix wallwashers were installed to light the venue’s interior façade in a variety of shades. The illumination, which complements naturally the surrounding architecture and interior, has created a more luxurious environment and lifted the venue visually.